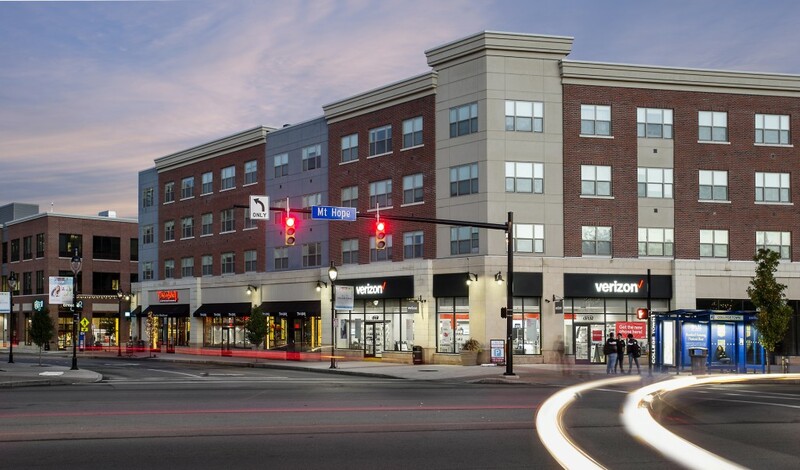 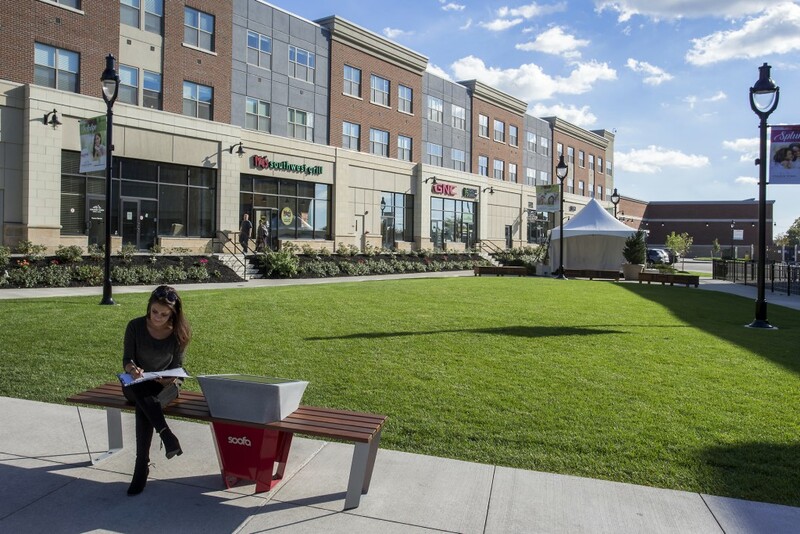 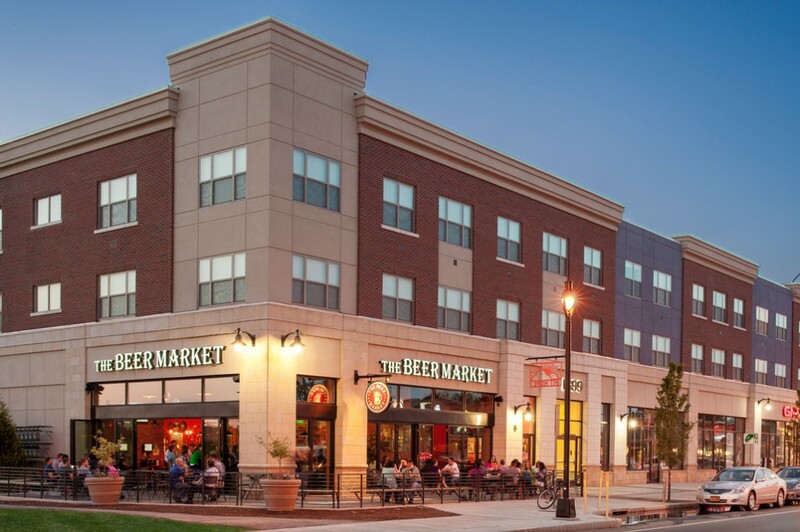 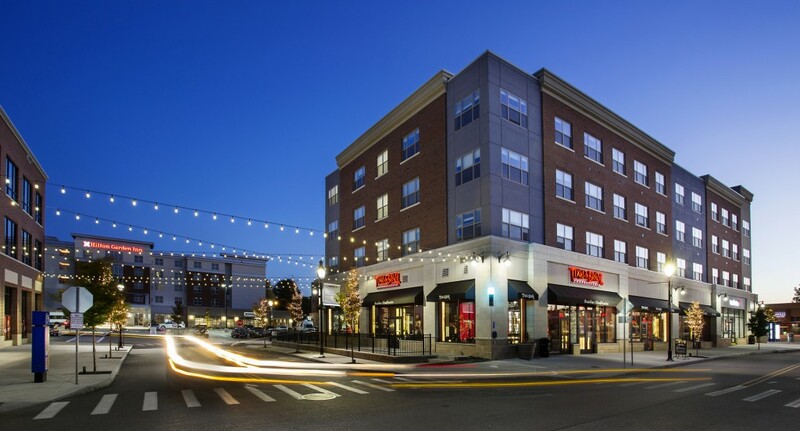 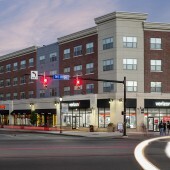 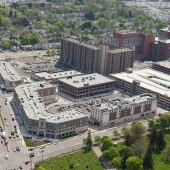 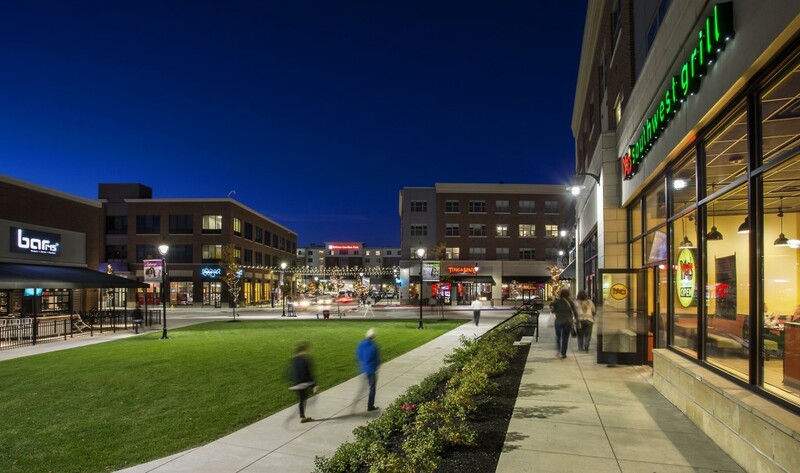 Gilbane Development Company and Fairmount Properties established a joint venture to create College Town, a mixed-use development located at the entrance to the University of Rochester and immediately adjacent to the University of Rochester Medical Center (URMC). 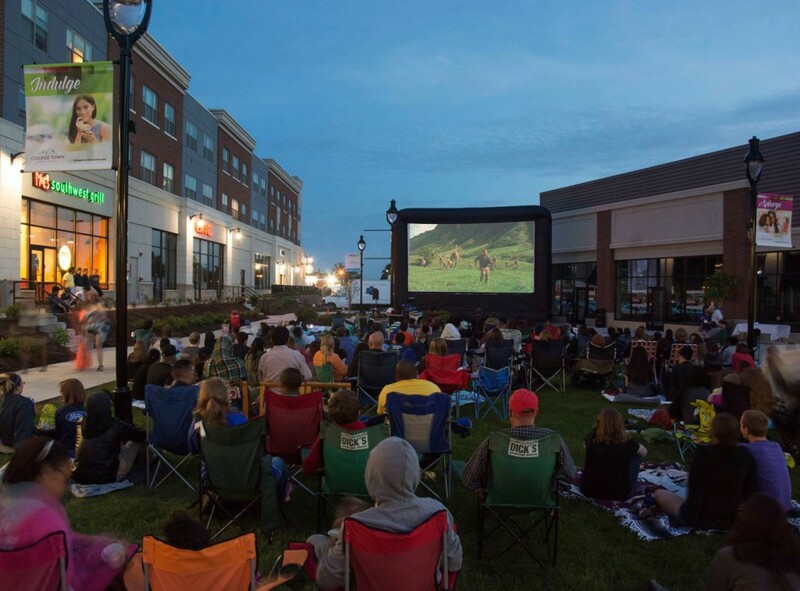 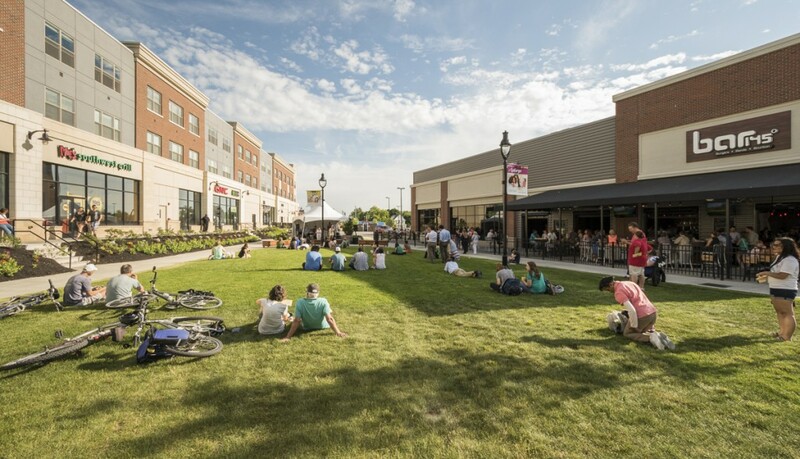 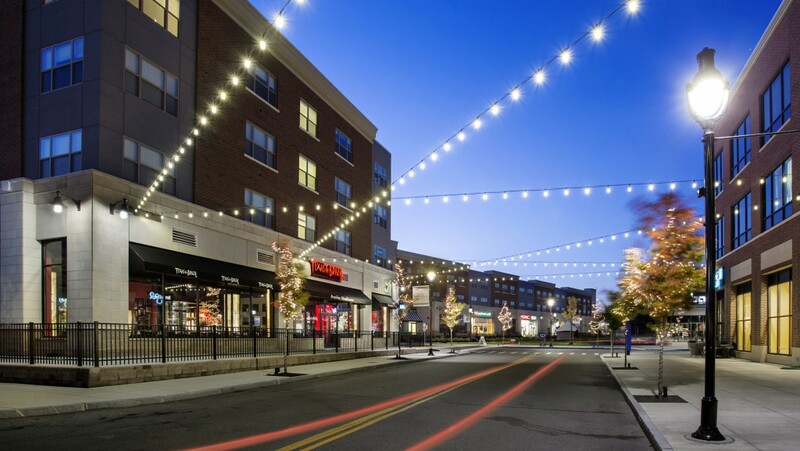 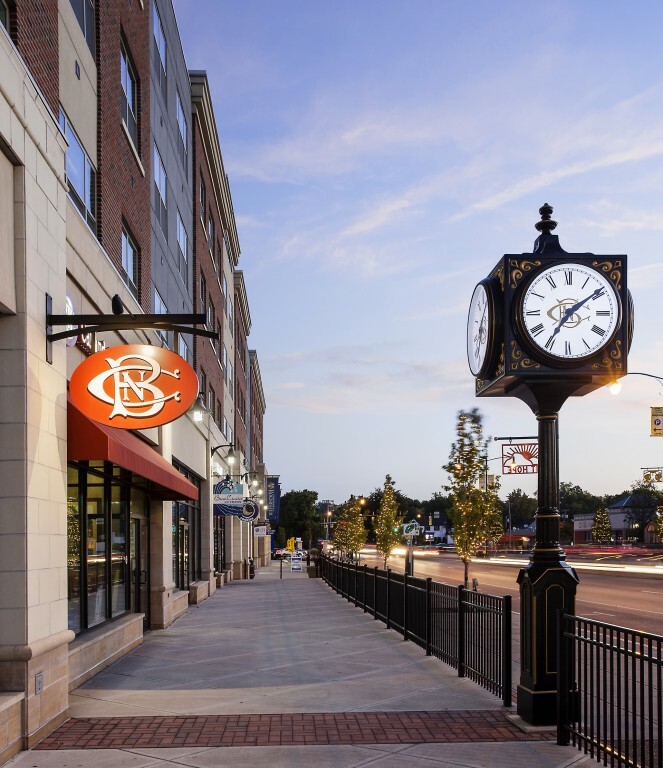 College Town Rochester is an exciting close-knit district that provides the neighboring community, University of Rochester and URMC students, faculty and staff a one-of-a-kind, vibrant place to live, learn, dine, shop, work and play. 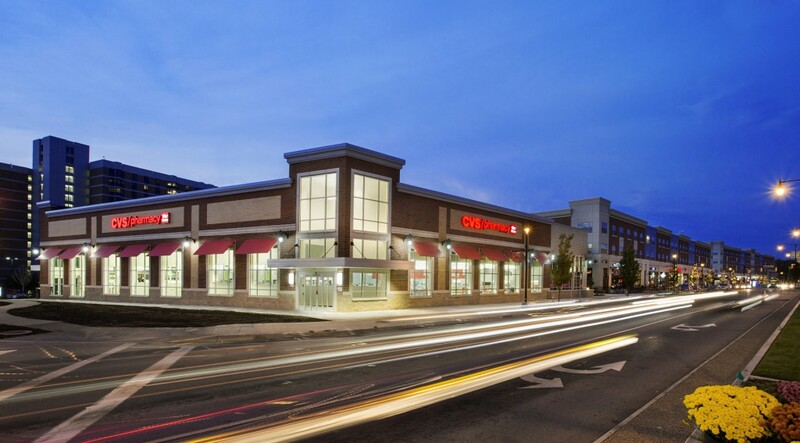 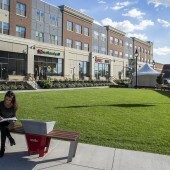 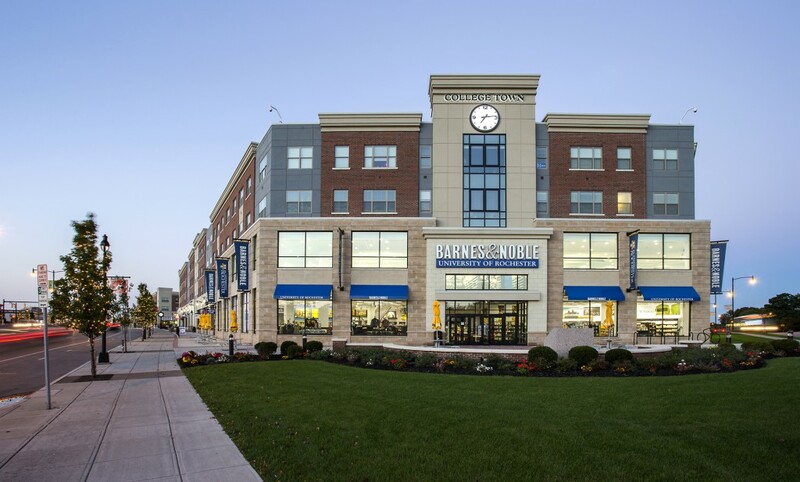 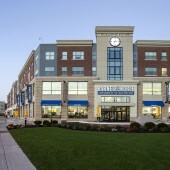 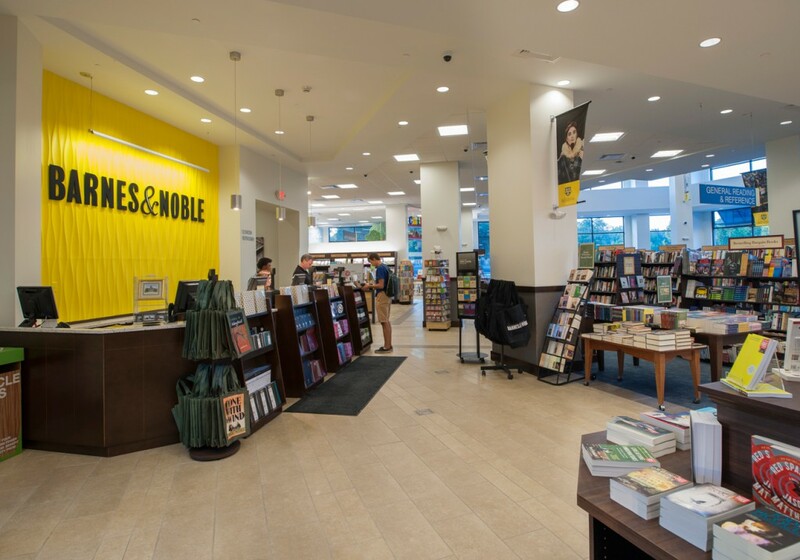 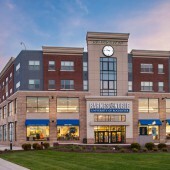 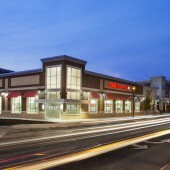 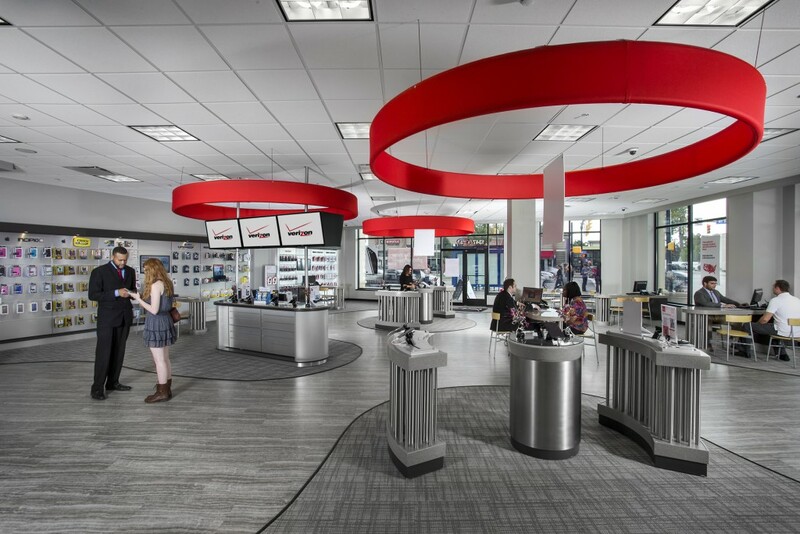 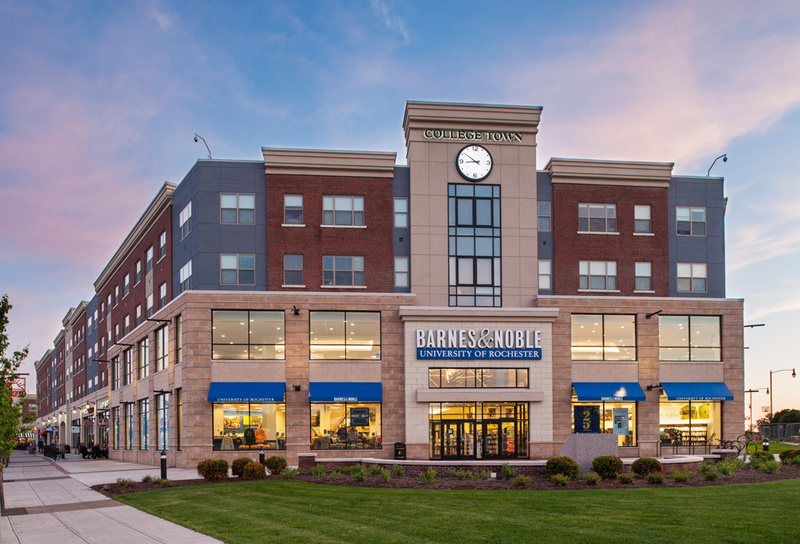 College Town celebrated its grand opening in the fall of 2014 and features 50,000 SF of class A office space with a two-level Barnes & Noble bookstore, a 136-room Hilton Garden Inn Hotel, 154 high end apartments known as Mount Hope Lofts, and 110,000 SF of street level retail and restaurant space to meet every taste and style. 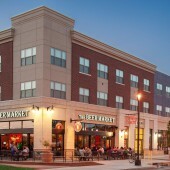 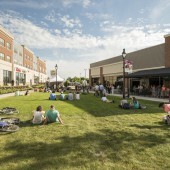 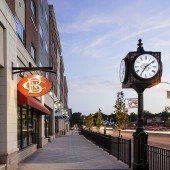 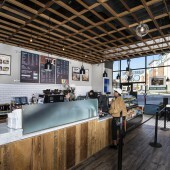 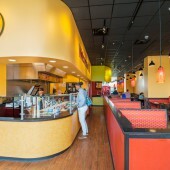 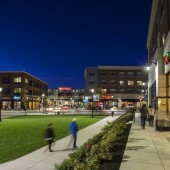 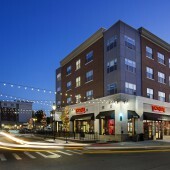 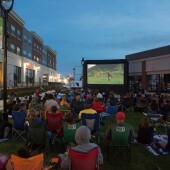 The buildings within the development were conceived in a “Main Street” style that, true to the name, maintains wide sidewalks and a strong connection to the three surrounding streets (Mt. 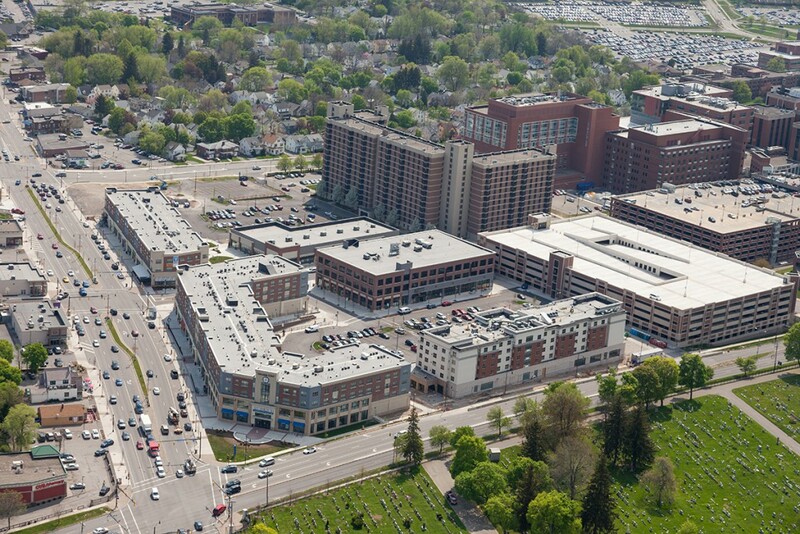 Hope Avenue, Elmwood Avenue and Crittenden Boulevard), with a particular focus on Mt. 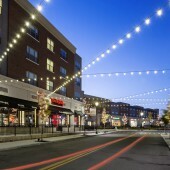 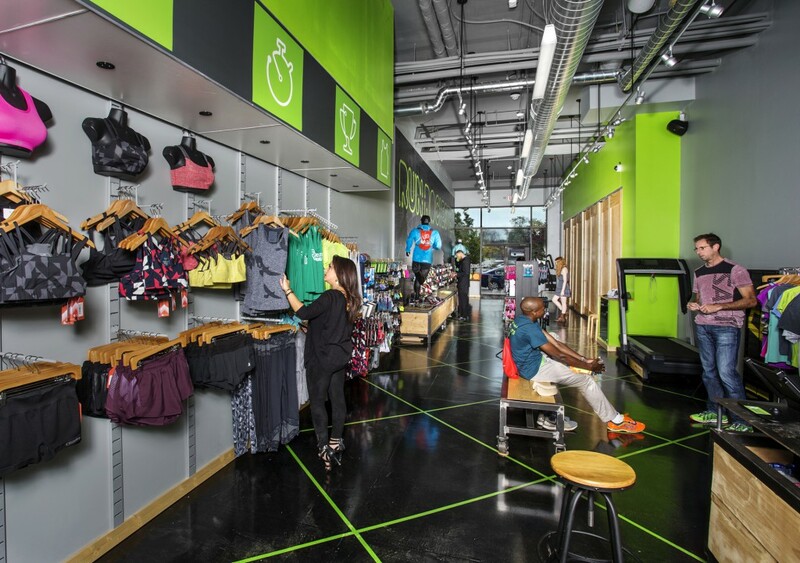 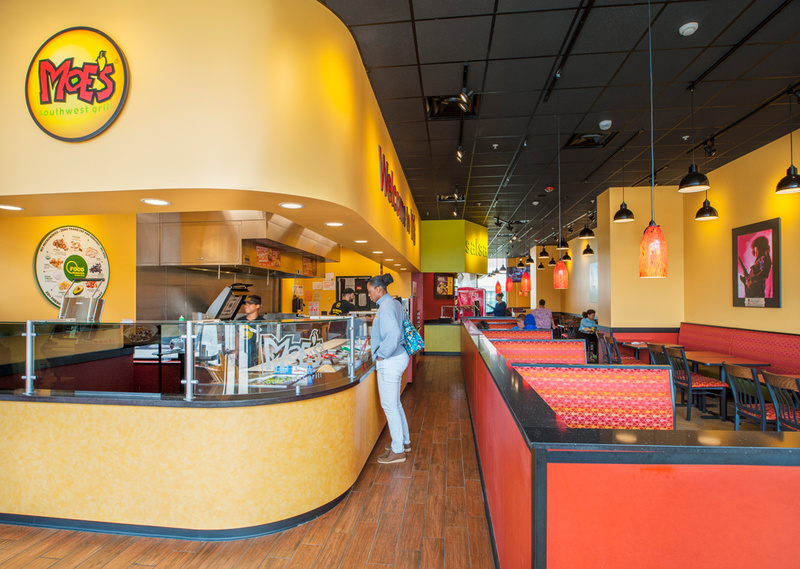 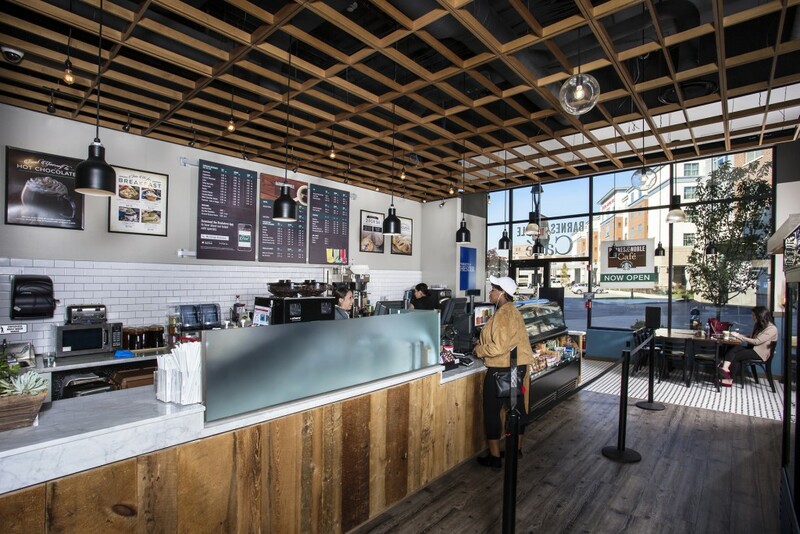 Hope Avenue for on-street restaurants, cafés and retail.